Car shipping companies transport vehicles from one location to another for individuals and businesses. 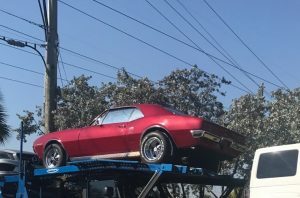 When you need auto transport services, it is important to find a company that you can rely on to transport your car safely to its destination. Furthermore, you want to find a company that offers services within your budget. Saves on mileage. Think about the resale value and the risk of depreciation, especially if you own a classic car. These are factors that are affected when you choose to drive. 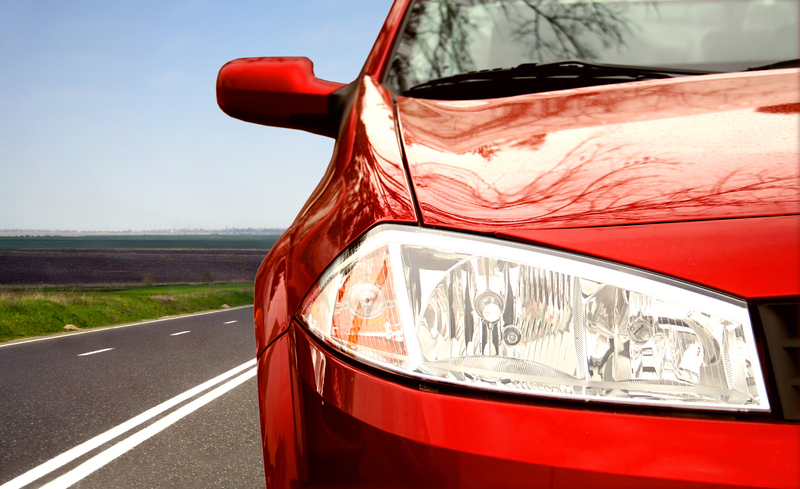 Driving adds wear and tear to the vehicle, along with mileage. With auto shipping, your vehicle will be delivered in pristine condition and without hundreds or thousands of added miles. Is convenient. Why do people order items online and have them shipped to their home, rather than going to the store? One reason is because of the convenience this method offers. Auto transport provides the same luxury. Click or call to receive a free, instant car shipping quote. Saves time. Making a cross-country move can take days or even weeks to complete. This means many hours behind the wheel. Save time, and have an auto transport company ship your car for you. Catch a flight, and your car will be delivered to its destination. What Affects Your Shipping Cost? 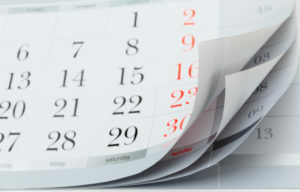 The more flexible you are with pickup and delivery dates, the less you will have to pay. At National Dispatch, we offer three different delivery options to choose from. This would include economic, priority, and guaranteed. Each varies in price and time windows to meet your specific budget and schedule. It is generally recommended to book auto transport services a couple weeks out or more. This is to allow plenty of time for both you and the auto transport company to prepare for shipment. However, we have the guaranteed delivery option for individuals who are shipping on short notice. If you need your car within a few days, you can expect to pay more for this service. You are paying for the added convenience and for a designated spot on the carrier. Our auto transport specialists do their best to keep you informed every step of the way. Therefore, you will know when you can expect your vehicle to be picked up and delivered. Learn more about our auto shipping options. There are several ways in which you can have your vehicle transported. 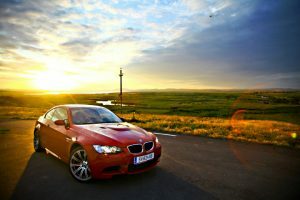 You must decide on the carrier that will ship your car, as well as the preferred location for pickup and delivery. When it comes to a carrier, there are two main types. You can choose from an open carrier or an enclosed carrier. An open carrier is the most commonly used method of transport. It is also the easiest on the wallet. Due to the construction of the carrier, your car will be transported with up to eight other vehicles. Your automobile will be exposed to the weather and elements of the road. Learn more about open auto transport. In contrast, an enclosed carrier will protect your vehicle from a variety of elements and weather, including dirt, dust, rain, snow, and ice. It is recommended for luxury, classic, or other high-end vehicles. It is more expensive than transporting via an open-air carrier. Learn more about enclosed auto transport. Many car shipping companies offer terminal-to-terminal and door-to-door shipping options. With terminal-to-terminal auto shipping, your vehicle will be stored at a location until you are able to pick it up. Door-to-door shipping is more convenient, because the driver will come directly to your home or place of business to pick up and deliver the car. A primary factor in the creation of your car shipping quote is the vehicle type and condition. The cost to transport a sedan across the country will be less than it would be to transport a SUV, truck, or van. Why is this? Larger cars take up more space on the transport truck. In addition, size factors into weight. Larger vehicles weigh more than smaller ones. Weight can affect the fuel consumption of the carrier. When you are shipping your car, you should also let the auto transport company know of any modifications done to the vehicle. Vehicle modifications can alter the size and weight, as well. It is also important to know if the automobile is operable or inoperable. An operable vehicle can be loaded onto the truck easily. An inoperable car requires special equipment. For this reason, it often costs more to ship an inoperable vehicle. Make sure you let the car shipping company know that your car does not run before transport. Learn more about non-running vehicle shipment. An obvious factor that affects the cost to ship an automobile is the distance. The further you need your car transported, the more it will cost. This is due to fuel consumption and mileage. Therefore, you must take into consideration if you are shipping from east coast to west coast or somewhere in-between. The distance will also have an impact on the shipping time frame. It may take anywhere from three days to two weeks or more to transport your vehicle to its destination. It all depends on the location and how far the driver must drive. The distance from city to city is important, but the city or town, itself, is also noteworthy. Are you shipping to a popular city? 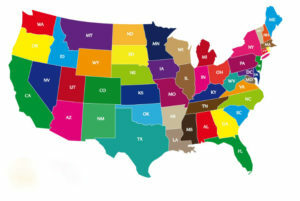 Some of the most popular auto shipping cities include Los Angeles, Dallas, Chicago, Atlanta, and Miami. If you are transporting a car to a city that is a distance away from a main highway, then the price you pay may be affected. This is because you would not be shipping along a popular transport route. If the location is difficult for the driver to maneuver the truck, this can also affect door-to-door shipping. You and the driver will decide on a location to meet at, instead. The auto transport industry is busier when people are more likely to move or travel. The peak season is summer. Children are out of school. Therefore, more people are trying to move before another school year begins. In addition, June and July are popular months for vacations. Summer is not the only season when people utilize car shipping services. Snowbirds, individuals who travel to a warmer part of the country during the winter, rely on an auto transport company to ship their vehicle. Popular destination points include Florida, Arizona, and Texas. They temporarily move to these locations during the winter months. Then, they relocate back to their northern home in the spring. You may not be able to choose when you are able to move. However, it is important to keep in mind how moving during different parts of the year can impact your car shipping quote. You should also keep in mind how weather can affect the shipment of your vehicle. Safety is always a top priority. Although fewer people move during the winter, the rate can still be affected. 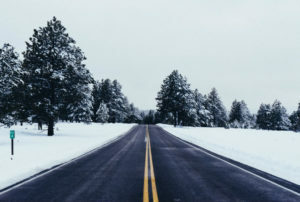 Certain parts of the country are prone to harsh winter storms, which bring snow and ice. This makes it hard to drive under these conditions. One additional service that you will have to pay extra for is top loading. Top loading is when your car is placed on the upper level of a two-level transport carrier. The picture to the left depicts this service. Many individuals pay for top load transport because of the condition of other vehicles and road debris. Your car will likely be placed on a transport truck with multiple other vehicles. You do not know the conditions of these other automobiles. Some might be new, while others might be old. Having your car positioned on the bottom row means you face the risk of having a car from the top leak on yours. There is also the possibility of dirt, dust, rocks, and other debris coming into contact with your car. Vehicles that are positioned on the bottom level of a carrier are more susceptible to encountering these road debris. The top level offers more protection. Top loading provides added peace of mind. For complete protection, consider shipping via an enclosed carrier. Auto transport companies give out a variety of discounts. It all depends on the company. 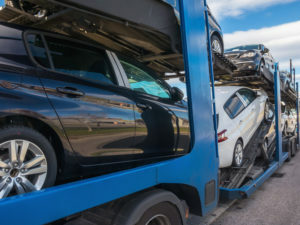 Most companies offer a discount if you were to ship more than one car at once. It is known as the multi-car discount. Today, many families own more than one vehicle. Therefore, this discount can come in handy. This discount is also beneficial for corporations, dealerships, or auction houses who need to transport several automobiles at one time. For more information concerning discounts, be sure to contact the auto transport company directly. Ask the company what kind of discounts they offer. If you are going to ship your vehicle anyway, why not save a few bucks? How quickly do I need my car shipped? How far am I transporting? Am I shipping from a popular route or hard-to-reach area? What type of vehicle am I shipping? Is the vehicle operable or inoperable? Do I want the car top loaded? Am I shipping one car or several cars? National Dispatch is a nationwide auto transport service. We ship thousands of vehicles to individuals and corporations all across the country. We transport your typical cars, trucks, SUVs, vans, and motorcycles in addition to classic, sport, luxury, and exotic vehicles. You are sure to find a service that meets your needs and specific budget. We offer open auto transport, enclosed auto transport, door-to-door shipping, inoperable vehicle shipping, and much more. At National Dispatch, we seek to provide the best service and value. Customer satisfaction is our top priority. We hire the best auto transport professionals to handle the shipment of our customer’s vehicles. We believe you deserve nothing but the best. It can be overwhelming trying to decide on a car shipping company, one who you can trust and rely on to ship your vehicle safely. You can be rest assured that your car is in the best hands when shipping with National Dispatch. The vehicle will be delivered in a safe and timely manner. Requesting a quote is just a call or click away. Use our online quote calculator for a free, instant car shipping quote. No personal information is required. Fill out four simple fields, and you will receive a quote within seconds. If you prefer to speak with a member of our staff, call us at 800-321-2051. We would be more than happy to answer any of your questions.